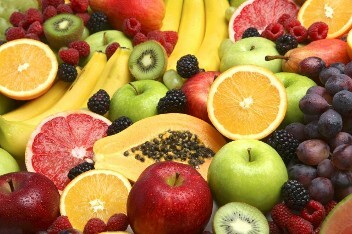 Oral allergy syndrome is the type of fruits food allergy that causes itching of the mouth, throat, and tongue. Sometimes the tongue, face, lips, and throat can be swollen. Severe throat swollen or systemic reaction rarely happens in this type of food allergy, and it can look like anaphylaxis. This occurs when you are allergic to certain grass and weed pollens or to latex. Because the protein structures of those fruits look similar to that of grass and weed pollens, it confuses your immune system making you itch around the mouth and throat when eating it. Common fruits that can present with this syndrome are apple, carrot, cherry, celery, kiwi, watermelon, honeydew, banana, cantaloupe, cucumber, peach, orange, tomato, potato, avocado... Common grasses and weeds that associate with this syndrome are timothy, ragweed, birch, orchard, mugwort and latex. Oral allergy syndrome occurs all year round and may worsen during the seasons of that particular pollen. Treating allergy with allergy shot might improve symptoms. If you and your family have or suspect to have this condition, please stop by for a discussion to see how we might help. Below are services and procedures we do at Texas Allergy for this condition.